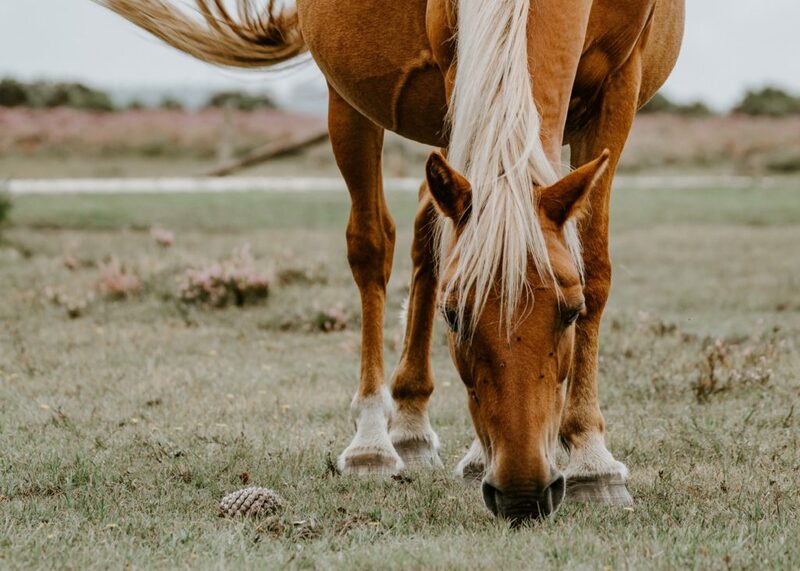 I am an unusual TFD contributor in that I live in a rural area instead of a city, consider myself a minimalist, and — the reason why I’m writing this article — I own a pony. Peanut is a 13.2 hand Halflinger/Welsh pony cross who is perfect in every way. I love him more than anyone else in the world. But if I’m being perfectly honest, buying him was the biggest financial mistake I ever made. But he was also the best physical, emotional, and social decision. For those of you reading who are not involved in the horse community, I’m sure it’s no surprise that horses can be very expensive. And, as a freelancer, I do not make anywhere near a six-figure salary. And yet, I make the room in my budget for Peanut every year, because he’s important to me. How much of my budget? Glad you asked. There are two types of expenses in horse ownership: one-time, and ongoing. On top of all of those expenses, I make sure to keep a separate account for Peanut in case he needs any emergency medical attention. Unfortunately, for most of the things I just mentioned, the price is the price; there usually isn’t any room for haggling. But the things that can be haggled, or at least made a little cheaper, I’ve done. I worked out a deal at my barn that reduces my board as long as I clean my pony’s stall every day. (More on that in the positives section below.) I bought a used saddle, girth, saddle pad, and bit from the woman I bought Peanut from for a fraction of the price that those items would cost brand new. But even with all that, owning and keeping a horse — even a little one! — is still quite expensive. When I was making this year’s budget at the end of last year, I realized that I need to budget $10,000 per year to keep and have fun with my pony. Ten. Thousand. Dollars. Yes, yes, I know the answers to all those questions. Yes, I am crazy, who isn’t? I could earn about 5% interest over a yearlong period in a locked CD. I realize that; here’s why I’m not going to do it. Caring for a horse requires hard physical labor. Every day, I need to clean Peanut’s stall and paddock, carry a filled water bucket, and finally, ride the pony himself. This is the only full body workout I need. I never get bored with the same old routine. Changing up our riding schedule is simple. Some days we do dressage, other days we run barrels, a few days a month we chase cows, and every now and again we go on a trail ride. And I have a permanent workout buddy to keep me accountable! Who needs a fancy gym membership, anyway? Part of the reason that I made a deal with my barn to clean my own stall every day (other than a reduced board bill) is so I have zero excuses not to go to the barn. Going to the barn for me is like going to the gym for a lot of you; sometimes the hardest part is just getting there. Since I have to clean Peanut’s stall (it’s seriously a health hazard to him if I don’t), it doesn’t matter if I don’t feel like going to the barn on a particular day; I have to go. Once I’m there, I’m always happy that I put barn clothes on and got out of my house. The physical exercise does me good, I get to snuggle with Peanut, and my friends are there riding their horses. Usually, even if I just planned on having an off day of cleaning and going home, I end up riding after all, and feeling so much better for it. Riding horses teaches mindfulness and goal setting. I can’t get on Peanut and than think about what I’m going to have for dinner that night, or how much laundry I need to do, or that great new TFD article I’m going to write. I can only focus on what I am doing with my pony at that moment. If my mind starts wandering, Peanut can sense that and just loves taking advantage of it. It’s a lot easier to be mindful of what I’m doing if I’m focusing on a goal. Right now, Peanut and I are taking part in my barn’s cow sorting competitions, so we’re training for that. When the gymkhana season starts, then it will be time to train in barrel racing and other mounted games. Learning to work toward my goals every day is not just useful in horse riding, but in my writing career, my relationships, and all aspects of my life in general. Having goals gives me a sense of purpose, and having a partner to reach those goals with makes the journey a lot more fun. I keep my horse a boarding barn two miles away from my house. It is a wonderful family environment where everyone loves riding and talking about their horses. I always make sure to go to the social events that they have because there’s never any awkwardness like there is in other social settings. We always have a topic of conversation: horses! I didn’t use to do cow sorting; Peanut and I are former hunter/jumpers, but they do more Western sports at this barn, so we gave it a try. And we love it! In this encouraging environment, I had the chance to get out of my comfort zone and try something new. I wasn’t good when I started, but that didn’t matter. I was having a blast making new friends with my best friend! Is my pony expensive? Yes. But is he the best thing in my life? Yes. Does he help me stay fit, make friends, and have fun all at the same time? Yes, yes, and yes. I’m sure city people think I’m a crazy hillbilly, and I could write a whole article about why I can’t be paid to live in a city. But you do your thing, and I’ll do mine. If you want my advice, you’ll call up your local stable and ask if they have riding lessons. You just might improve your life, make some new fabulous friends, and who knows? Maybe even get rid of your gym membership. Olivia is an aspiring writer, tea connoisseur, and pony lover. She is a freelancing blogger while she writes her first book.